As the saying goes, "There's a first time for everything". 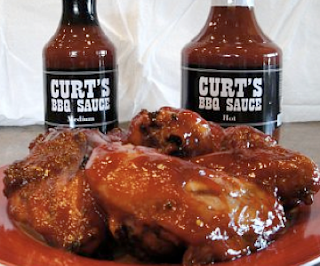 I gave Curt's BBQ Sauce an excellent 4.5 star review just a couple of weeks ago (Read Review Here). However, a great deal of thought and consideration has led me to amend that score. I don't plan on making a habit of changing ratings after they're posted. I think it diminishes the system's credibility and can be confusing. However, when I'm wrong, I've got to admit it....and in this case, I was definitely wrong. Though 4.5 stas (out of 5) is a steller rating, I've come to the conclusion that Curt's deserves that last half star. I've used the sauce several times since the review was posted. In fact, it's been my first choice on nearly every occasion. Regardless of whether I was cooking wings, ribs or pulled pork, I just kept reaching for Curt's. I've mentioned many times that I'm a sucker for a sweet and spicy sauce. Curt's delivers on both fronts. The final tipping point that convinced me of Curt's 5 star worthiness was the absolute anguish that I felt when I emptied the bottle. I haven't experienced heart break like that over an empty bottle in quite some time. Alas, I'm using this opportunity to right an injustice. Curt's BBQ Sauce is a 5 star sauce if their ever was one. Check out Curt's website and order a bottle of your own. Let me know what you think. How would you rate it? 5 Response to "Curt's BBQ Sauce - Upon Further Review..."
How hot was the hot? Del - I only sampled the medium. It had a bit of spice in the finish, but was pretty tame overall. Just got my shipment of 4 quarts 3 medium and a hot. Just had a taste of the medium. Excellent sauce... This is the kind of sauce that goes with everything . Can not wait to get some bones on the grill with some Curt's! I'm jealous Del. It's great stuff. 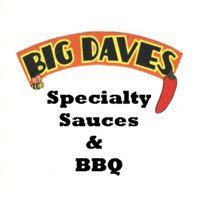 Best Sauce I have ever had! Goes with everything! Recommend the medium!